This is the fourth release from Eric Kesners guitar based, dark-ambient project, True Colour of Blood, and easily the most mature of all. The fact that Kesner creates all his soundscapes with guitar is amazing, but his work survives this novelty. It is haunting and chilling, peaceful and mesmerizing. 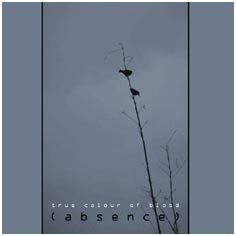 "(Absence)" is the most completely realized of all TCOBs CDs. Each piece is seemingly simple in its individual sound, yet extremely complex in composition upon closer listen. "The Secret Doctrine" and "(Absence)"are prime examples of this: shimmering clouds of sound mixed with the tension of minor chords. Highly recommended for fans of ambient music!